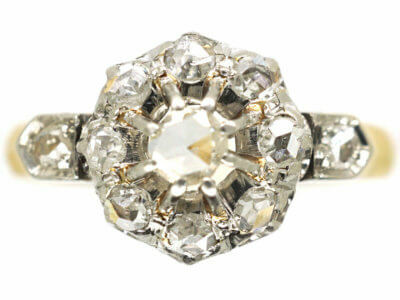 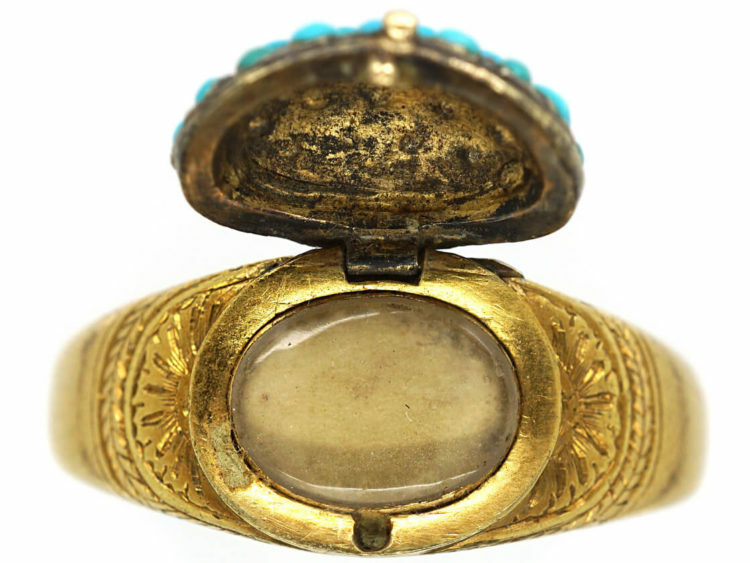 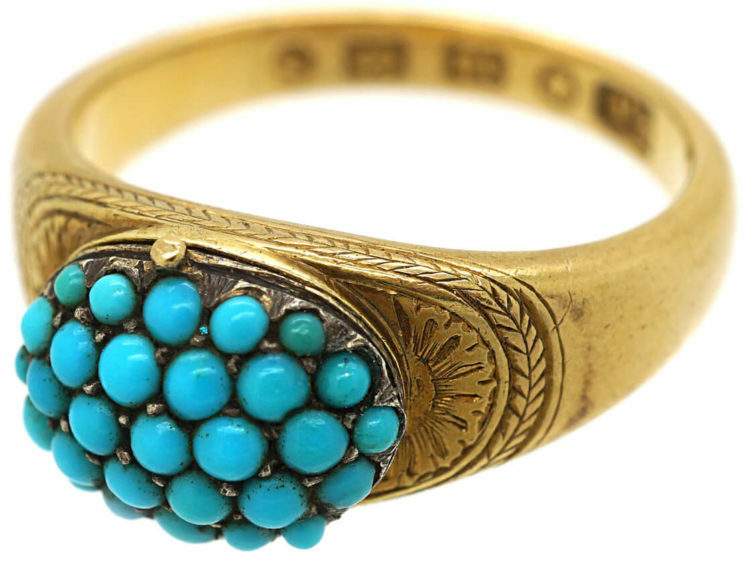 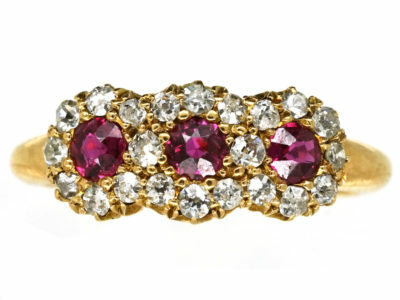 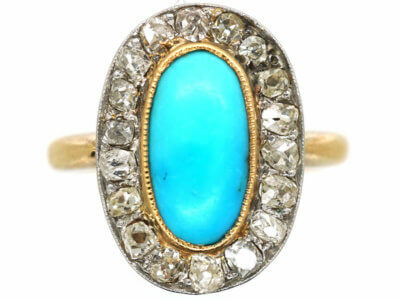 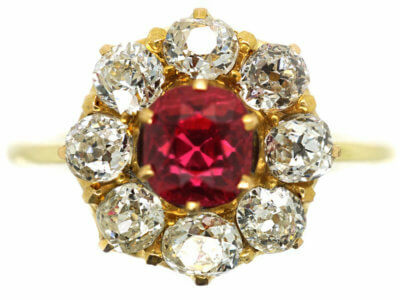 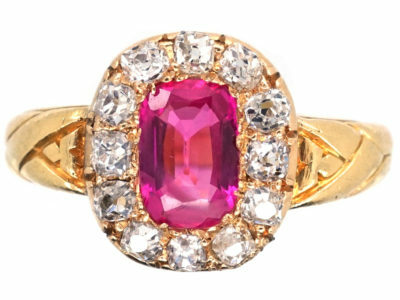 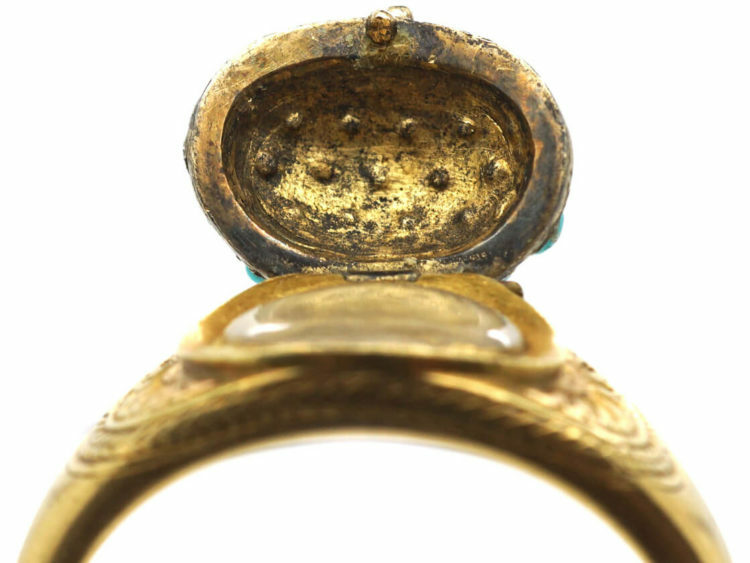 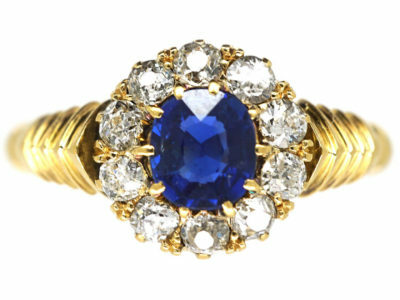 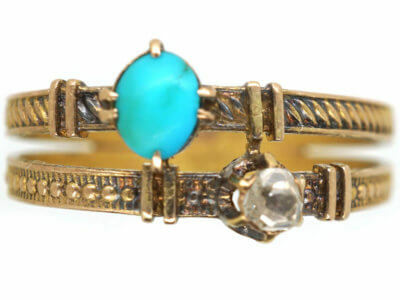 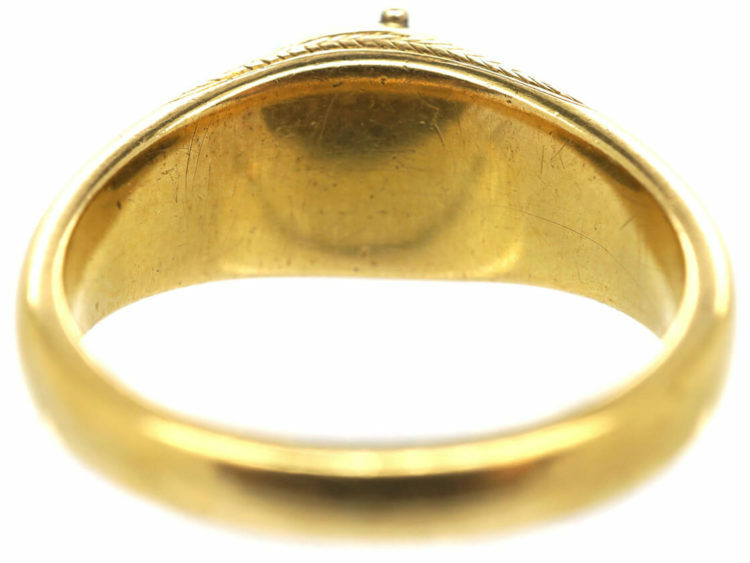 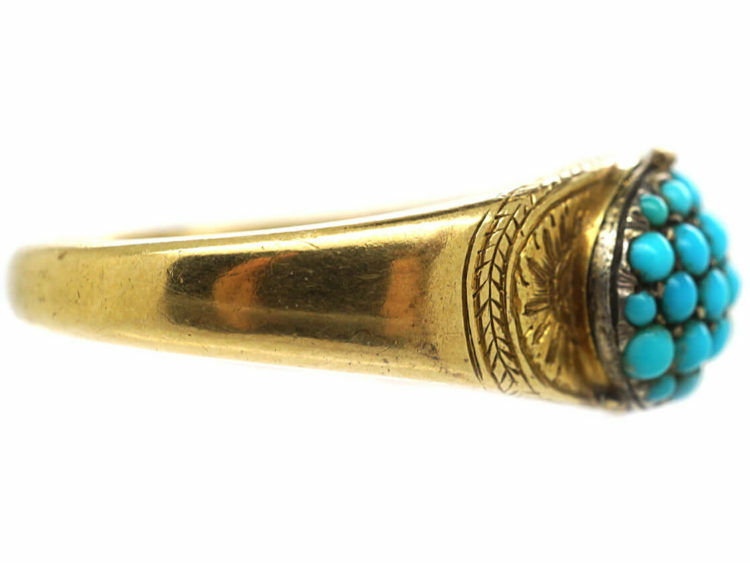 A beautiful heavy gage 18ct gold ring that was made in 1867. 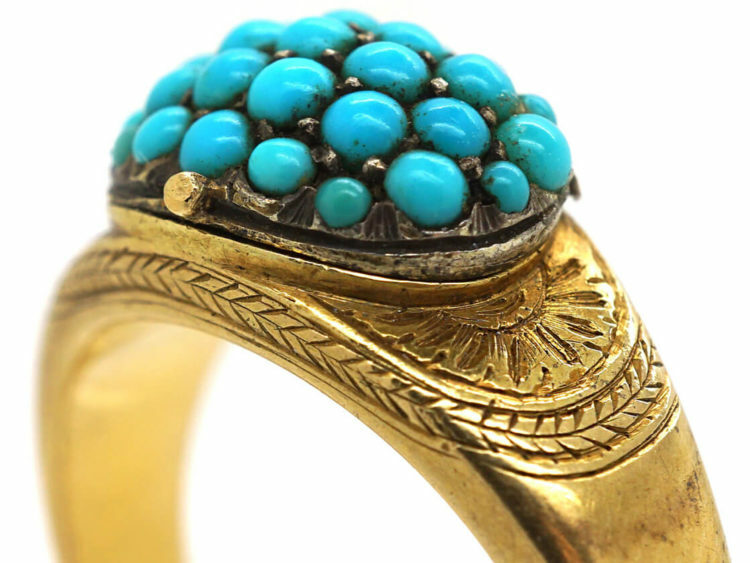 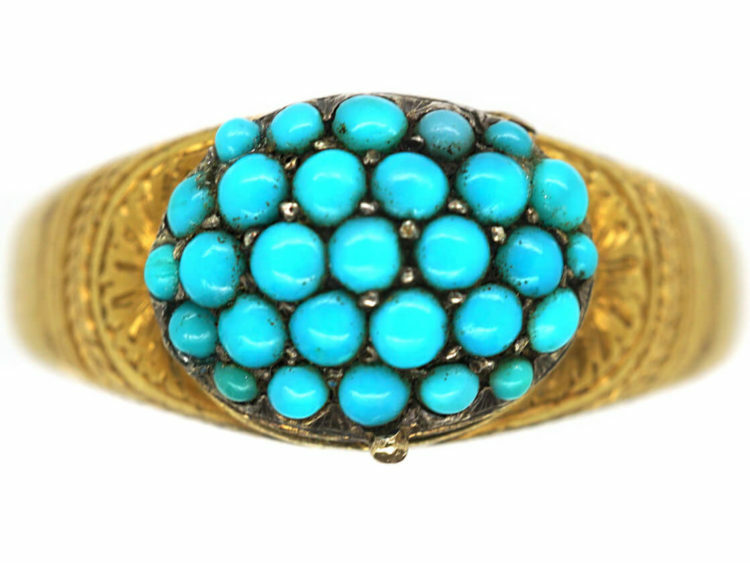 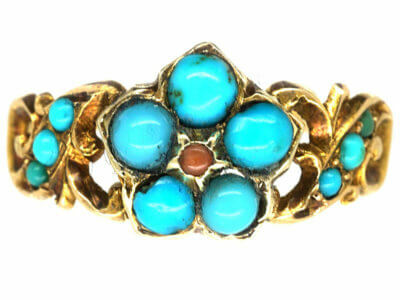 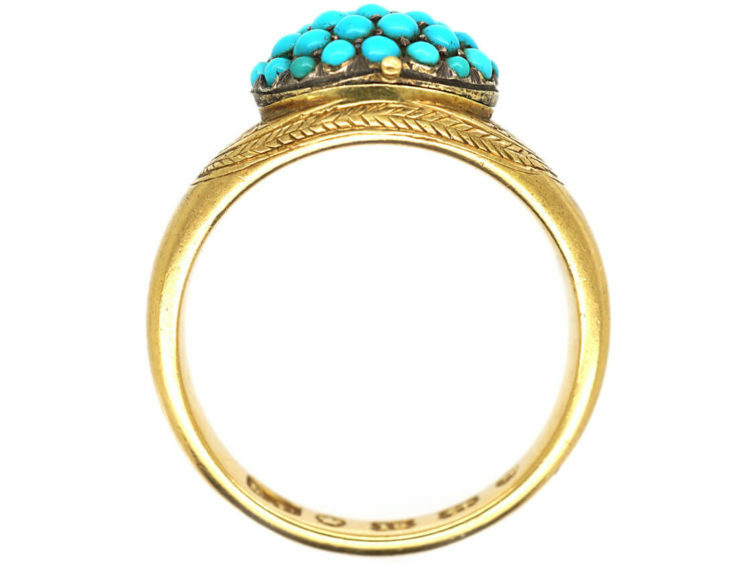 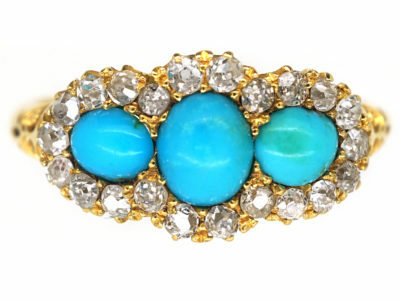 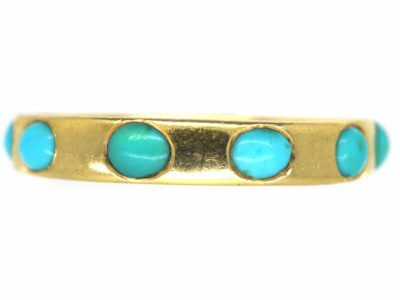 The turquoise pave set cluster hinges open to reveal a glazed section in which a lock of hair would have been placed. 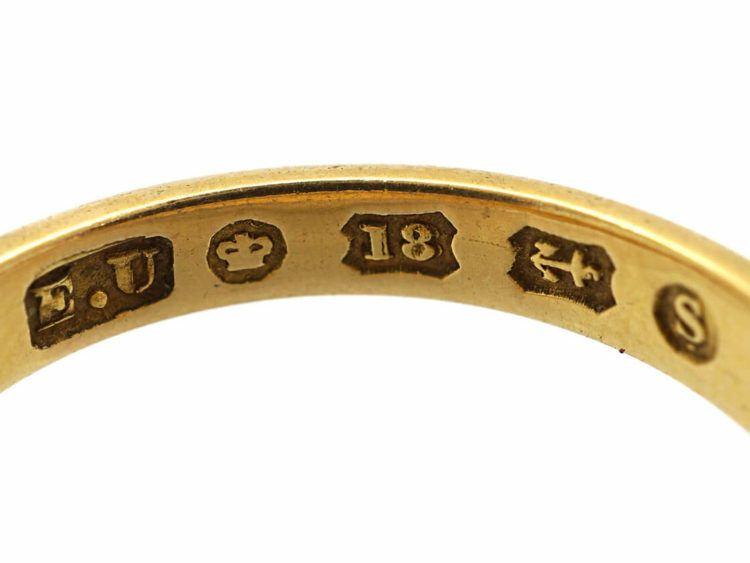 On either side is a decorative laurel leaf engraving meaning Triumph and Peace. 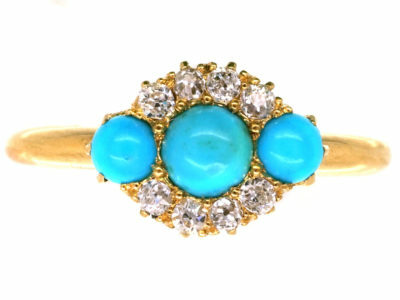 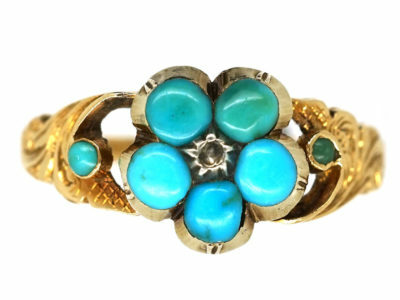 So this ring could have been a memorial ring as turquoise stands for “Forget me not” after the turquoise blue flower of the same name.